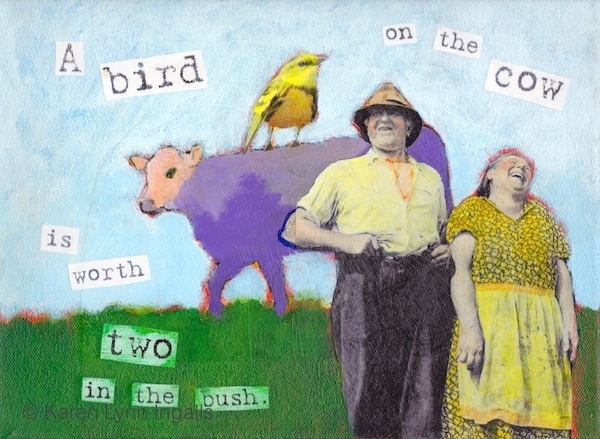 "A bird on the cow... is worth two in the bush." "It really IS greener on my side of the fence." 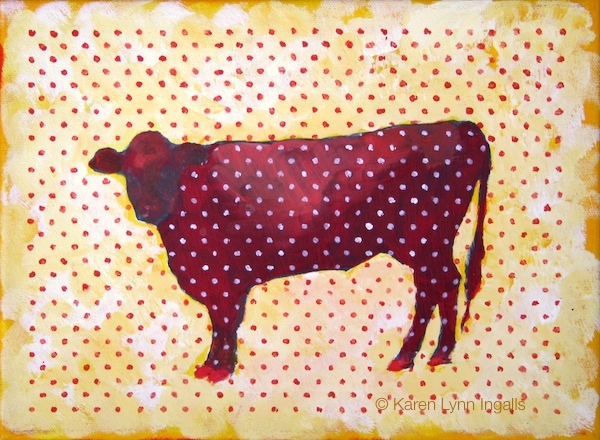 Artist's Note: Dotted Angus was originally called Dotted Swiss, because the polka dot pattern reminded me of the now-old-fashioned fabric, with tiny tufts of polka dots, called "dotted swiss." 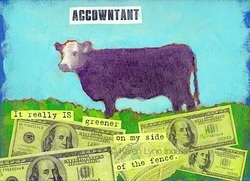 And they must have cows in Switzerland, right? 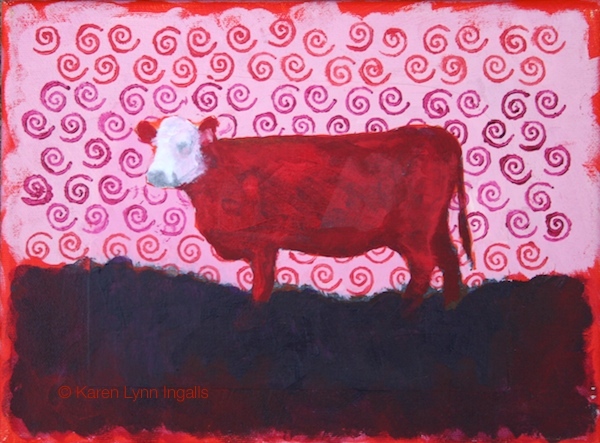 When I showed it at Graeser Winery, a rancher I know said to me, "That's an Angus." Ooops. So now it's "Dotted Angus." This series began a number of years ago, when I was asked to put up a show of work at Graeser Winery with another artist who painted chickens. 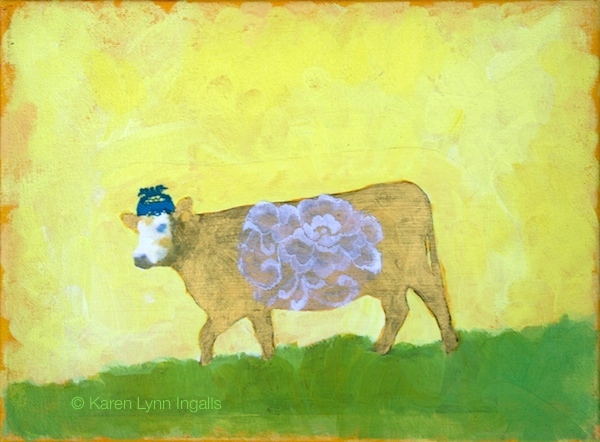 My landscape paintings weren't what was called for here, but cows seemed to fill the bill perfectly.